Size doesn't matter with these new Deadpool Mystery Minis from Funko—the adorable little suprise toys look to pack a unique punch in each and every figure! 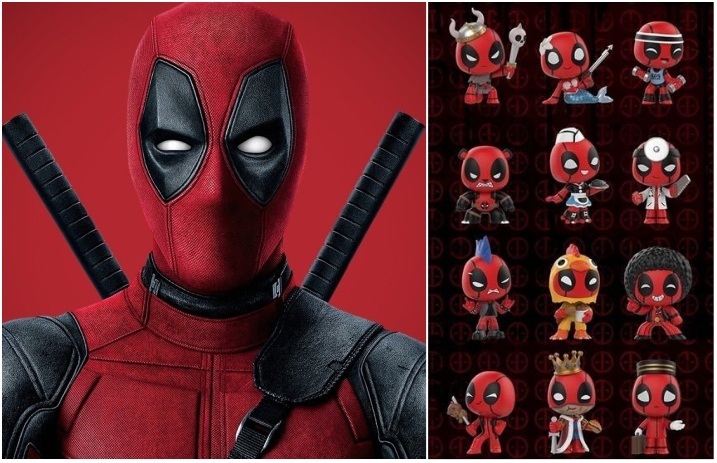 Go ahead and take a peek at Funko's Deadpool Mystery Mini lineup below. That's right, everyone's favorite Marvel mercenary makes a Mystery Mini debut this May, as reported by Comicbook.com. Of course, you won't know exactly which figure you're gonna get when you buy one, but you could end up with Deadpool as Panda Bear, Chicken, Viking, Mermaid, “Punk Rocker” and more! There'll also be Wizard, Cheerleader and Clown Deadpools exclusive to GameStop; Knight, Robin Hood and Samurai Deadpools exclusive to Hot Topic; and Old Lady, Boxer and Hula Deadpool Mystery Minis exclusive to Target. See Funko's complete Deadpool Mystery Minis roster here.